Our Civil Enforcement Officers are working today, helping members of the public and ensuring that the car parks are safe for use. They have been applying more salt in areas where it is needed and checking that equipment is working properly for customers. Our priority during the current weather conditions is to advise help drivers and our staff have been helping vehicles to manoeuvre safely in the city. Despite the weather, our collection crews were out working last week. Unfortunately, we were unable to reach some properties on Friday. We prioritise the collection of general waste and are currently attempting to catch up the properties that were due a waste collection on Friday - so please leave your bin out at the collection point until emptied. However, we will not able to catch up all the recycling bins. If this is the case for you, please put any additional material in loosely tied bags and leave it out with you bin on your next recycling collection date. Chichester District Council is warning residents to stay safe and warm over the next few days, when severe weather conditions are due to reach the area. Due to the weather forecast, the council has made the decision to cancel this week's Farmers' Market, which was due to take place on Friday 2 March . "At the moment, the snow is meant to reach our area on Thursday and Friday. Although we don't like cancelling the Farmers' Market, we feel that this is in the best interest of residents, visitors and the market stallholders. At the moment heavy snow is due on Friday and so for safety reasons we feel that this is the right decision to make," says Councillor John Connor, Cabinet Member for Environment Services at Chichester District Council. The council is also advising residents that any severe weather may affect refuse and recycling collections, but to still keep their bins out. "It is difficult to predict how bad the weather conditions are going to be. However, we want to reassure residents that if we can't reach them on their usual day, we will empty their bin just as soon as we can. Residents just need to make sure that their bins are left out. We will also be providing regular updates on our website and social media sites" says Cllr Roger Barrow, Cabinet Member for Resident Services at Chichester District Council. The council has also been providing its severe weather provision for the homeless since 22 Feb when the temperature fell below zero. "We have been working with homeless charities and partners to make sure that all rough sleepers know about the provision. 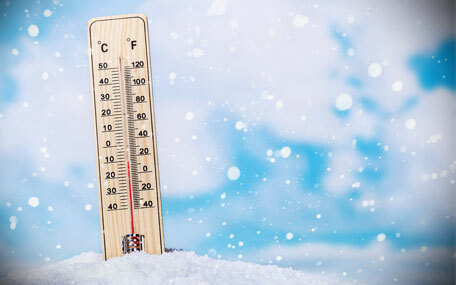 The temperature is incredibly cold at the moment and the weather conditions are predicted to get worse. We would encourage rough sleepers to visit the Stonepillow Day Centre at The Old Glassworks, St Cyriacs, Chichester, PO19 1AJ by 4pm each day to access this service. Stonepillow can also be reached by calling 01243 775925 or emailing chichester.hub@stonepillow.org.uk. PO19 1TY, between 8.45am and 5.10pm Monday to Thursday, or up to 5pm on a Friday. If they need to access this service outside of these times, they should call the council's out of hours number on 01243 785339," says Cllr Jane Kilby, Cabinet Member for Housing at Chichester District Council. The council is also asking residents to make sure that they keep an eye on vulnerable neighbours, friends and family members and to check local weather forecasts regularly on the television, radio, websites or social media. The Met Office weather report is constantly being updated. The NHS website gives advice on keeping warm and well . West Sussex County Council provides details of any school closures . Chichester District Council will provide updates here, as well as its Facebook and Twitter pages.